This Chili recipe is so delicious, it will not disappoint even the pickiest eaters. 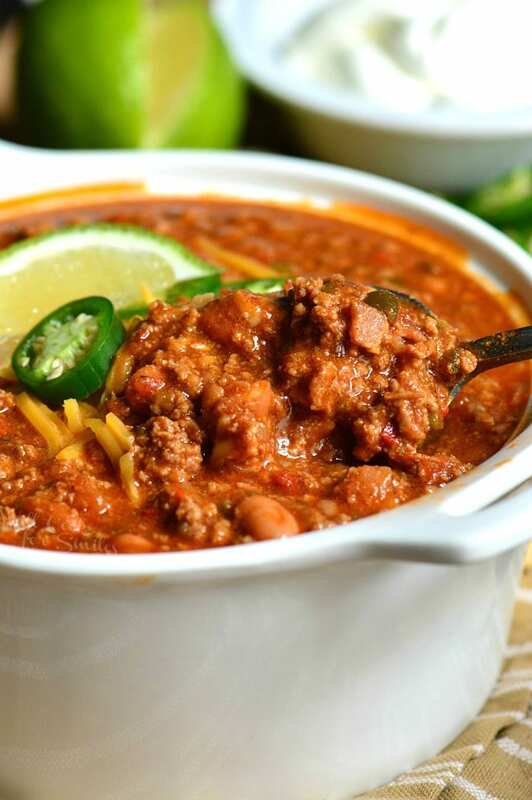 Of course it will not disappoint, it’s made with bacon, ground beef, vegetables, beans, and tasty combination of spices to make chili seasoning. 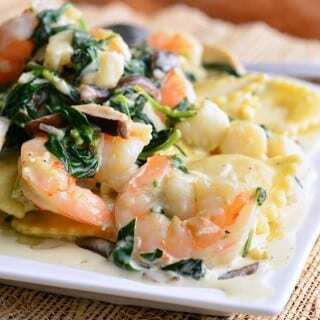 This perfectly comforting and classic dish makes a great weekend dinner. Make a big batch of it because chili is even better reheated than it is freshly made. Chili is also a great dish to serve at football parties and my Boozy Chili is a perfect choice for that. 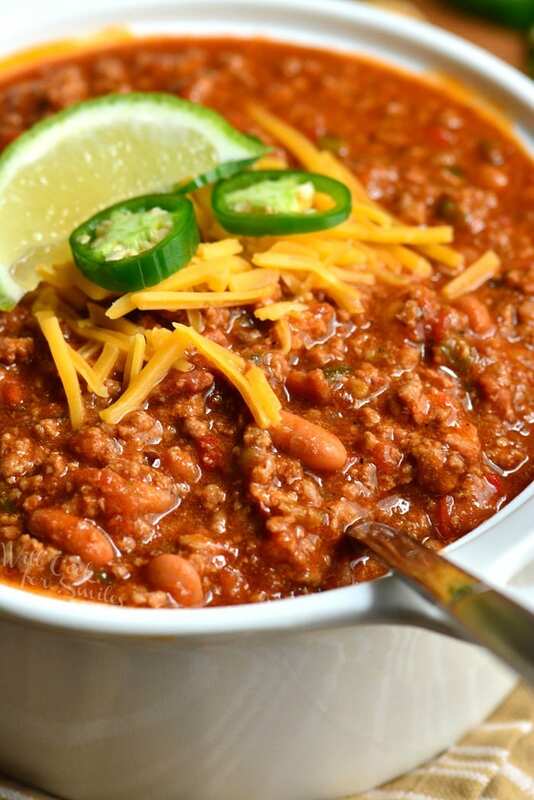 Turkey Chili is a great healthy option for a protein loaded and lean dinner. No matter what chili you make, don’t forget to serve some homemade cornbread with it. Would anyone be surprised if I said that beef chili is my kid’s favorite dish? I am still surprised, especially since it is baby girl’s absolute favorite thing to eat. Yes, my 16-month old loves chili more than anything. I am more than happy to spend a couple of hours making a big batch of chili for the family. Chili is a healthy dish because it’s made with lean meat, vegetables, and beans. 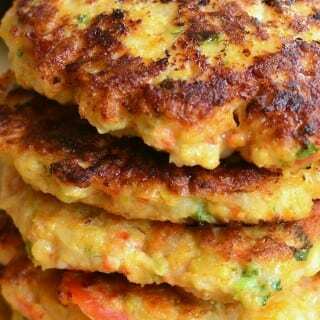 It’s loaded with protein, fiber, and iron. Besides tasting great, I like adding beans to my chili because it does have great nutritional value. So if you’re debating whether to add beans to chili or not, I say go for it! Now, my Texas friends, don’t come after me for putting beans in the chili. I know that the original Chili Con Carne is made with meat and chilis and many Texans stay true to the original recipe. On the other hand, the idea of putting beans in the chili has been around for a long time now and in a way, it’s just as classic as the original way. Tradition or not, when it comes to cooking for yourself and the family, we all do what we like best. And of course, what tastes the best. Slow cooker lovers will be happy to know that chili can just as easily be made in a Crock Pot. Begin by browning bacon in a cooking pan, over medium heat. Add ground beef, break it all up, and cook until beef is browned. Transfer beef and bacon mixture into a Crock Pot. In the same pan where you cooked beef, add onions, peppers, and jalapeno. Saute veggies until softened and add smashed and minced garlic. Saute until garlic is fragrant and transfer veggie mixture onto the Crock Pot as well. 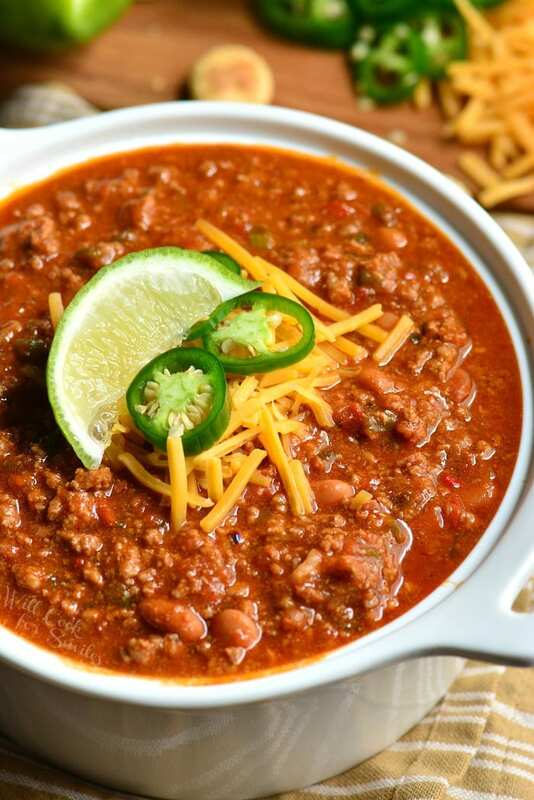 There are a few things you can add to make your chili taste great. First of all, the chili seasoning. Chili seasoning is basically the spices and herbs that go into chili. Be generous with chili powder and make sure to add cumin, oregano, and paprika. I recommend smoked paprika for a smokey taste in chili. To help regulate spice level in chili, you can add jalapenos or other spicy chili peppers. Adding spicier chili peppers can increase the spice level dramatically and if you add seeds from those peppers, that will bring up the heat even more. I prefer to make chili ahead of time and eat it the next day. It really does taste best when it gets a chance to sit in the fridge overnight. You will be happy to know that you can easily freeze chili. 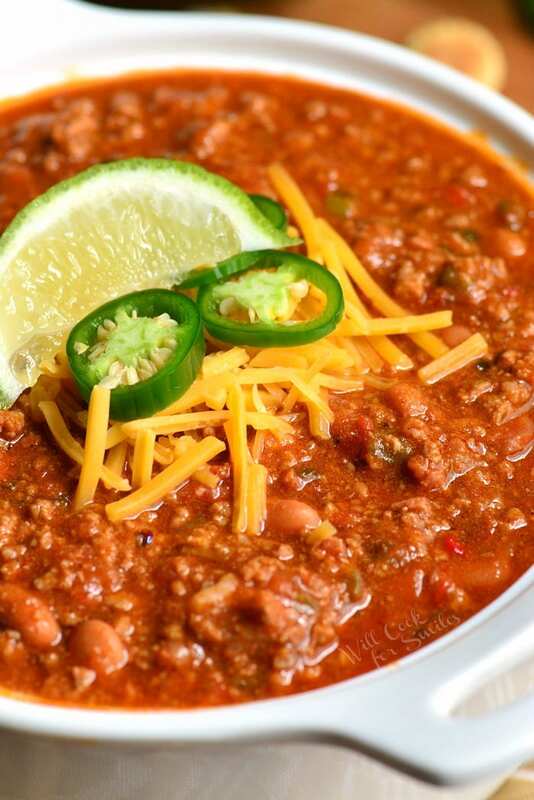 After chili is cooked, you will want to cool it as quickly as possible if you plan to freeze it. This will give bacteria less chance to build and extend the shelf life of food. 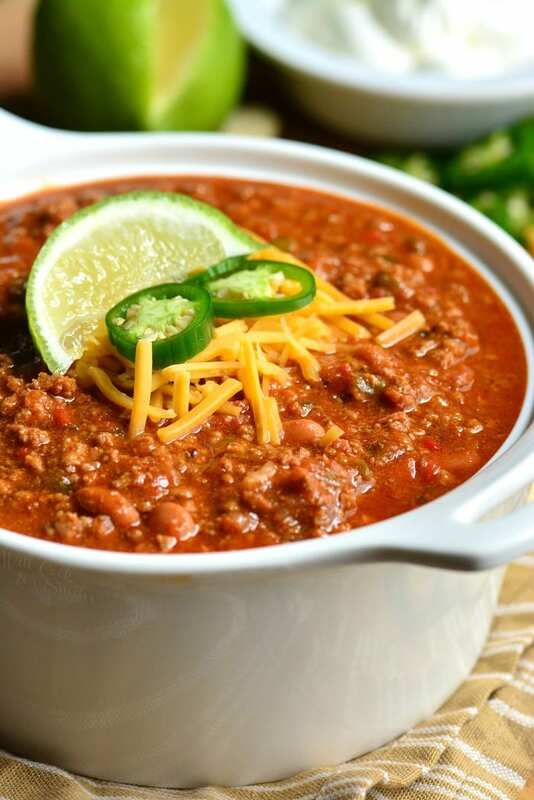 The best way to cool chili quickly is to place the pot of chili into a larger container filled with ice and make sure to stir it from time to time as it cools. 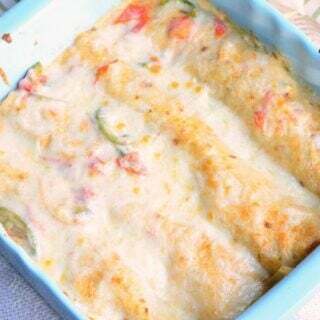 Once it cools, portion it into smaller freezer bags, let all the air out, and close it well. Remember to label and date. Lay the bags flat on the cutting board and freeze. Chili can be frozen for up to 6 months. Make sure to slow-thaw overnight in the refrigerator. If you’re making chili for a game day, creating a chili bar is an awesome idea. Chili bar is basically a spread of awesome chili and an array of toppings that people can use for their chili. Make sure to keep chili warm, so keeping it in a Crock Pot is a good idea even if you didn’t cook it in it. Set out plenty of bowls and extra spoons so each topping option can have its own spoon. 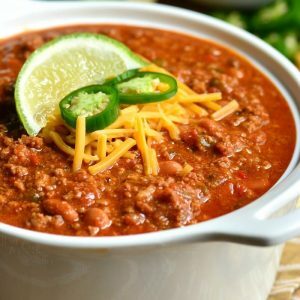 Amazing classic Chili made with bacon, ground beef, vegetables, beans, and tasty combination of spices to make chili seasoning. Prepare ingredients ahead of time by dicing bacon, onion, and peppers. Preheat a 2.5-3 quart pot over medium heat and add a little bit of oil. Add diced bacon and cook until browned and fat is rendered. Add ground beef, season with some salt, and cook, breaking up all the clumps of meat, until it's browned. 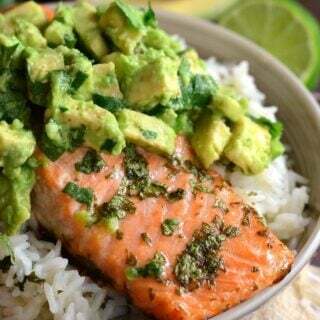 Take meats out of the pot and set aside. Add diced onion and bell peppers to the pot and saute until softened. Add diced jalapeno. Smash and mince garlic and add it to the pot. Saute until garlic is fragrant. Add meats back to the pot, stir, and add diced tomatoes, tomato paste, beans, and beef broth. Stir well. Add all the seasoning, stir, set heat to low. Cover with a lid and cook for about 1.5-2 hours, stirring once in a while. Take the lid off half way through and cook the rest of the time uncovered. Turned out wonderful! 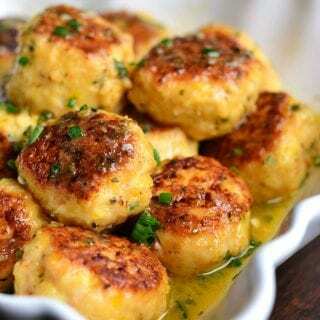 I don’t know how you are doing it, posting all these great recipes this often. 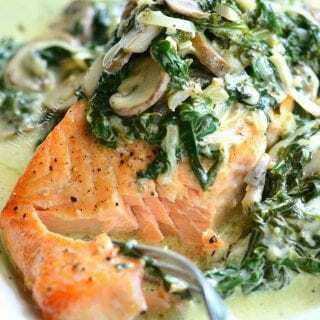 Your website has become my go to for dinners! Bless you and your family.